The producer- and dj-duo TOM & JAME is a team to watch. With their full time dedication and addiction to music, they already have evolved into a steady Dj act, performing around the globe. 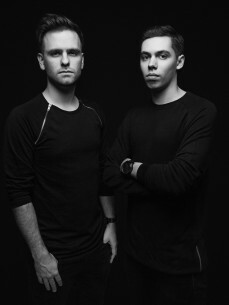 Not only did they receive the amazing support from the likes of Hardwell, David Guetta, Tiesto, Armin van Buuren, Martin Garrix, Nicky Romero, W&W and many others, but have also gained a big interest from major influential labels and have released on Revealed Recordings, Spinnin' Records, Armada, Wall Recordings, Fonk Recordings, and many more.